They are named for the sun. Their symmetry is based on Fibonacci numbers. They are native to the Americas, but have traveled widely and have captured the eyes and imagination of people all over the world. One of my favorite paintings as a child was Vincent Van Gogh's sunflowers. 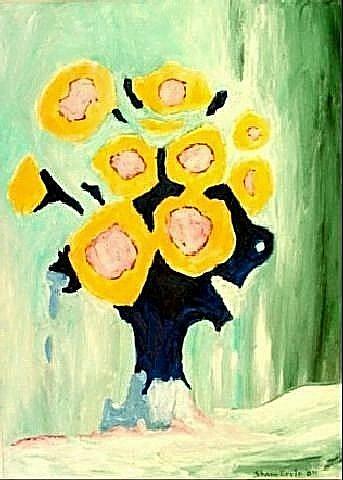 This painting was my take on sunflowers. I wanted to show how color and simple structure could create the sunflower's image.